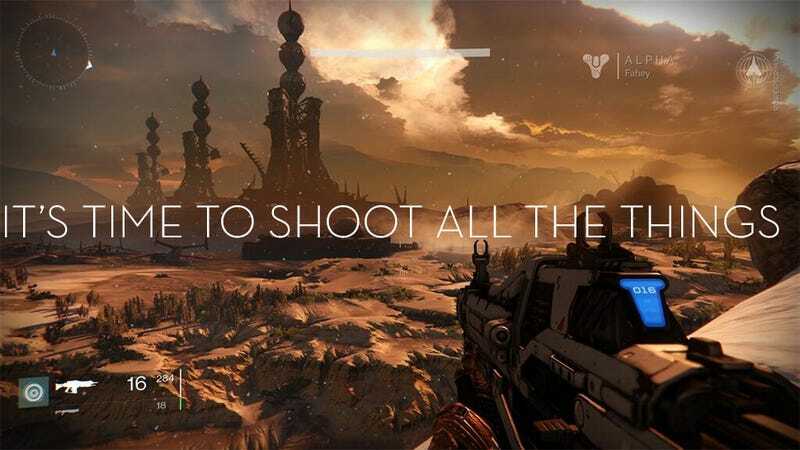 As announced at the big show, Bungie's next big thing scored a PlayStation 4 exclusive alpha test this weekend. I just so happen to have a PS4 and access to that alpha test. Wanna watch? If I'm lucky, this stream will feature an appearance by Kotaku East's own anime master, Sir Richard "Not a Sir" Eisenbeis. And if not, it'll just be me, all alone against the elements. And the aliens. And the mutants. And the voice of Tyrion Lannister. I guess that last one is on my side. There was some trouble embedding Richard's streams, so I put them in the comments below.